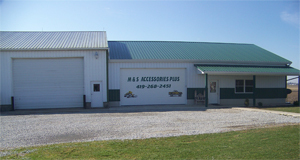 M&S Accessories Plus - Your Customizing Specialists and full Body Shop! Over 20 Years of automotive experience. We feature aftermarket accessories for your truck, SUV, and car. We are a family owned business and pride ourselves in Quality work and satisfied customers. Look no further than our friendly and honest staff. We help you customize your vehicle. YOU WANT IT! WE’VE GOT IT! Once a Customer, Always a Friend!